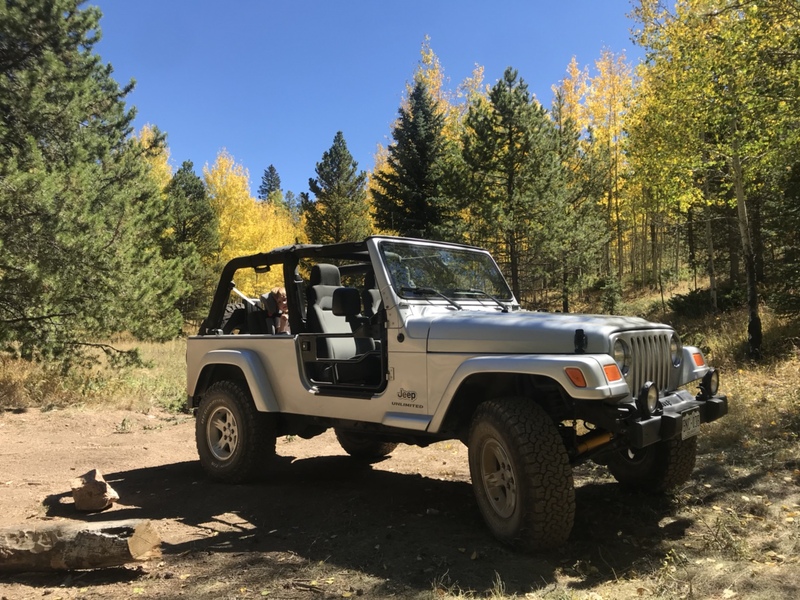 Discussion in 'The Rockies – It's all downhill from here...' started by The Toad, Sep 13, 2018. The Toad on the go since...wait. where am I ? Im headed up to do some riding in CO, starting out of Colorado Springs. I know OF Rampart Range rd, but have never traveled it. Im hoping some kind soul can tell me if its "big bike friendly" top to bottom? Ill be travelling on a fully loaded bike solo so trying to avoid any super technical stuff. I haven't ridden Rampart Range, or even been on it in years. Someone with more recent experience will likely be along soon. I have ridden Gold Camp Road which is on the other side of Hwy 24 and is easily doable on a big bike, and if you are looking for even more scenery and a nice additional ride, you could go down Phantom Canyon. The two link together nicely. IMO I would consider rampart range road to be big bike frendly. It is a graded road that a normal car can easily pass on. I recently rode most of rampart road north to south on my ktm 350 loaded for a multi day camping trip and had no issues. It's a dirt road, no big deal. Steer clear of the section of Gold Camp that's closed to cars, the entry and exit are way too difficult for a big bike imho. Thanks for the info. Be up there next week. Was up there today. Depends on what you want to do. Rampart range road itself is 100% Gold Wing friendly all the way from end to end. It’s very dry and dusty right now. Another couple very big bike friendly roads that are a lot of fun are Jackson Creek (the 507 part), Long Hollow, and Mt Herman Rd. My fav big bike friendly road up there which is a little rutted out right now but still totally doable is Dakan Rd. I’d call it one step more difficult than a graded forest Service road, but still easy if you have any experience. Van down by the river!! #348 was just graded yesterday. Very loamy. Takes you to Rainbow Falls. Ok if you have good sneakers. Must ride after a rain along with Dakan, Jackson and others. I saw a news report last week that indicated that the gate to RRR at Garden of the Gods has been closed...Do not have 1st hand knowledge of this gate closure. That was probably related to the gates installed at GOG so they can close the park at night. Not sure how that effects RRR at the GOG end though. The park hours are 5am to 10pm, so the gates should be open during those hours for sure. Also, RRR has been closed in the winter months (12/1 - 4/1) since the Waldo fires, but CMTRA and the TPA are working on getting it re-opened year round. I thought Hotel Gulch was really fun in that area on my 1200GS! I am up there on my GSA at least once a week after work and echo what AviatorTroy said above. After grading it can get a bit loose but Rampart Range Road is totally big bike friendly just keep an eye out for loose spots and don't ride like a maniac. Jackson Creek is also an easy route. From Jackson Creek when you turn onto 503 is a bit more rutted, much tighter turns and more bumpy but is plenty fun if you have experience. Similarly Dakan and Hidden Valley roads are also fun with some whoops and cool rocks to look at here and there. I would avoid any of the actual off-road trials (even the easy ones) unless you have plenty of experience riding your big-bike on loose, rutted, narrow, tight turns, two way traffic, at times steep and bumpy trails and are comfortable with it taking a nap and you waking it back up. If you do, they can be lots of fun . If you happen to see a black GSA up there on a random mid-week late afternoon it may be me.